Tweakers are people who use methamphetamines, I learned the first couple of months that I was driving on the night shift. They are the people who you see walking down the road or working on their car with a flash light at 3:00 AM. They are the paranoid eyes pulling back the drapes, to peer out the window, when you pull into the driveway of the house next door, who called for a cab. One Friday night I was driving South down Portland Road, at around Midnight, when I saw two men walking on the road shoulder, as I passed. When I looked in my rear view mirror, I could see one of the men waving at me, so I pulled over, stopped and put my flashers on. The two men who were a hundred yards behind me, walked as if they were in no hurry, so I assumed that they wouldn’t need my services, from their body language. “Around ten to twelve bucks,” I told him. 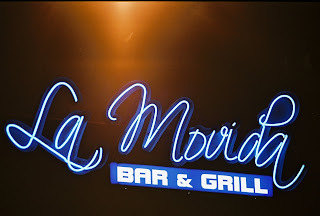 After conferring with the other guy, who told him that he only had four dollars, they decided that they would go to La Movida, so I drove off. The first time that I had a tweaker, it was a woman, who looked to be in her thirties. After she told me her address, she never talked again, she just cried, while her legs violently danced on the floor, to an insane beat that was playing inside her head. She cried and whimpered, until I asked her if there was anything wrong, to which she never responded, so I pretended that I didn’t hear her. When we arrived at her apartment, she paid me the fare and got out. One time I picked up a couple on the outskirts of felony flats, who wanted to go to the 7/11 on Market and 17th. As we drove, the guy talked in a loud obnoxious voice, about some incoherent subject that his girlfriend seemed to understand. When we arrived at the store, they both got out, and I ran the meter while I waited for them. When they returned, the guy handed me a baseball cap that said CIA, on the front, and told me that it was my tip. Rather than questioning it, I said thank you, as we drove back to their house. On the trip there, the couple cackled about something that I couldn’t make out, and tried to include me in the joke, but failed to tell me the punch line. Before they got out they paid me and looked into my eyes with a wild and crazy stare while their eyes blinked and twitched, until they became paranoid and ran into their house. One time when I was talking to driver #34, he told me that he used to manufacture methamphetamines, until he was nearly busted in a raid. He shared a house with another meth manufacturer, who paid the rent. After a couple of years, they began a cab company, and began to distribute meth throughout the Willamette Valley, until the local outlaw motorcycle gang confronted them about getting in on the action. One thing led to another, until, the cab company was investigated, by the State police, and driver #34 was busted for possession, of a small amount of meth. There are a number of ways to identify a meth addict. The most obvious indicator is open sores on the face and hands, when the poisonous chemicals used in methamphetamines erupt through the skin surface. One Friday night about 2:00 AM, I got a call for the emergency room. When I arrived there was an attractive woman who appeared to be in her mid thirties, talking to a man and woman clad in white smocks. Her face and hands were covered in open sores, and she asked them if they were going to call the police, and they responded negatively. After she got in my cab, she told me an address in West Salem. When we arrived, she didn’t have any money, and said that she was locked out of her house. I gave her an invoice for the $9.00 that she owed me, and called it in as a no money. Why anyone would want to use methamphetamines is beyond my understanding, since it makes heroin and cocaine seem like good drugs in comparison.